Picture this. You’re about to go on a cross country road trip and you’re trying to decide who’s vehicle to take. 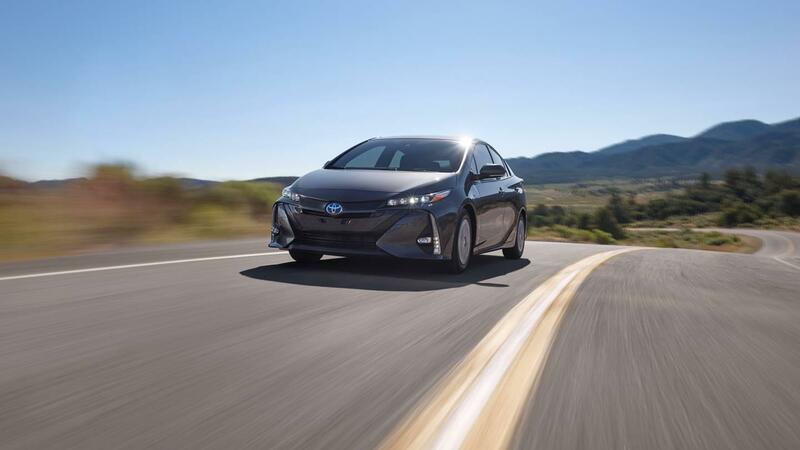 How about your brand new 2017 Toyota Prius Prime? This sedan is not only the most efficient car in its class but the smartest as well. 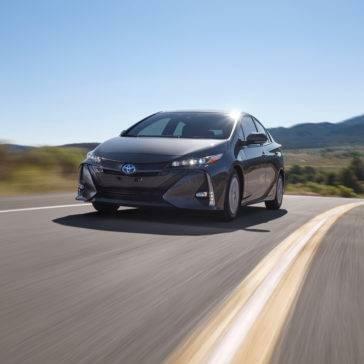 Among the three available trim styles, Prius Prime Plus, Prius Prime Premium and Prius Prime Advanced, you are sure to find one that matches your personality and lifestyle. The available features discussed below are irresistible including a starting MSRP of $27,1001. 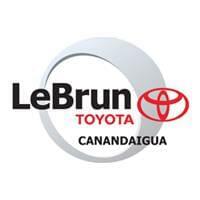 The potential in this vehicle is endless and our LeBrun Toyota team would love to prove it to you. Fill out our contact form or give us a call to schedule your test drive today! 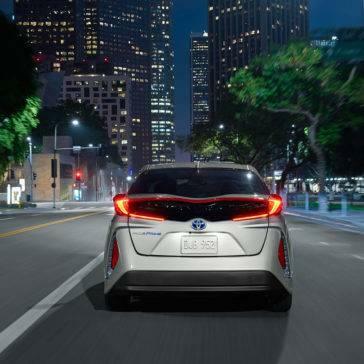 Toyota raises the bar and gives you the chance to receive and EPA-estimated 133 MPGe2 on your daily trips to and from work or weekend getaways. If that’s not enough consider the EPA-estimated 54 MPG3 on top of that. When we say it’s Prime time, we mean it. 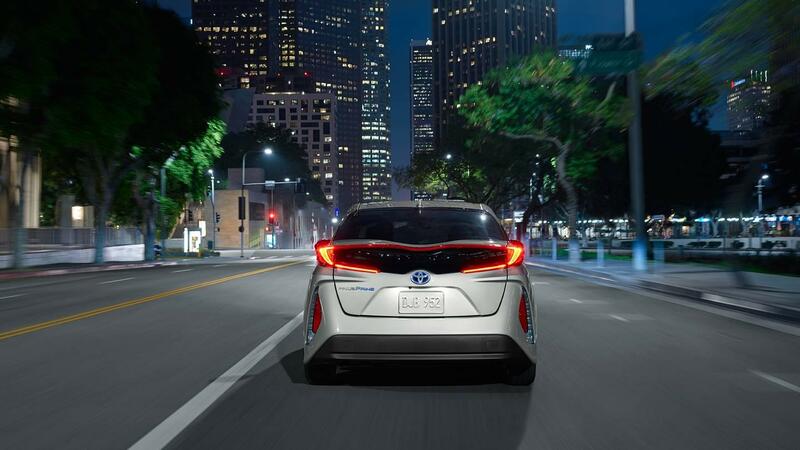 The 2017 Prius Prime is composed of the most lightweight yet strong and effective materials on the market, a carbon-fiber-reinforced polymer. Thanks to these materials, you are able to receive the efficiency that you do to help ease your drive. Stock up on snack and necessities before you leave as you won’t be needing to stop with your EPA-estimated driving range of 640 miles4. Step inside to a new dimension with exquisite technology available you won’t find in comparable vehicles. With an available 11.6-in HD multimedia touchscreen, you will have easy access to all the necessary features with a quick swipe, tap, zoom or pinch of the screen. 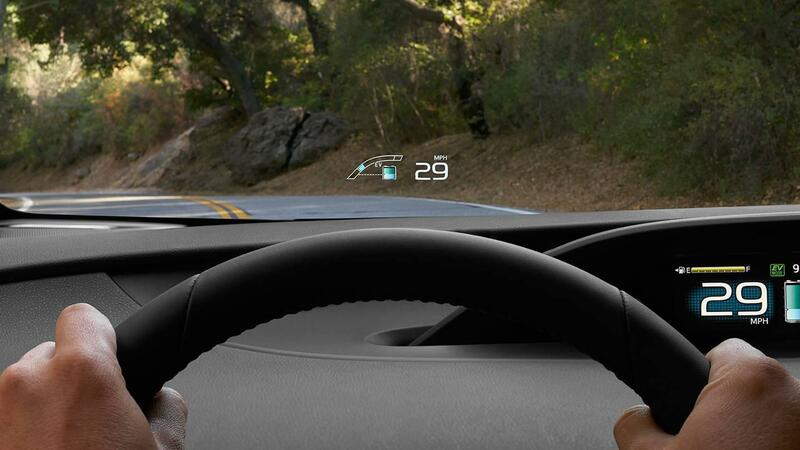 Forget having to look down to the dash for your speed, turn-by-turn directions or energy monitor information. 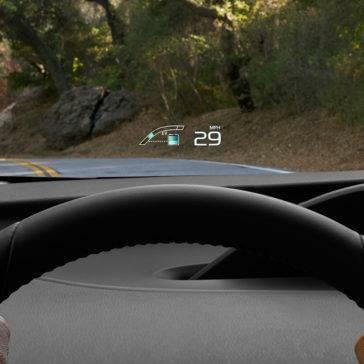 With the Head-Up Display, all the information you need will be displayed on your windshield directly in front of you. If you’re one for always being cold, the 2017 Toyota Prius Prime is here to save the day. This sedan comes standard with heated front seats for you and your passenger. Want to take it one step farther? Take advantage of the available heated steering wheel. 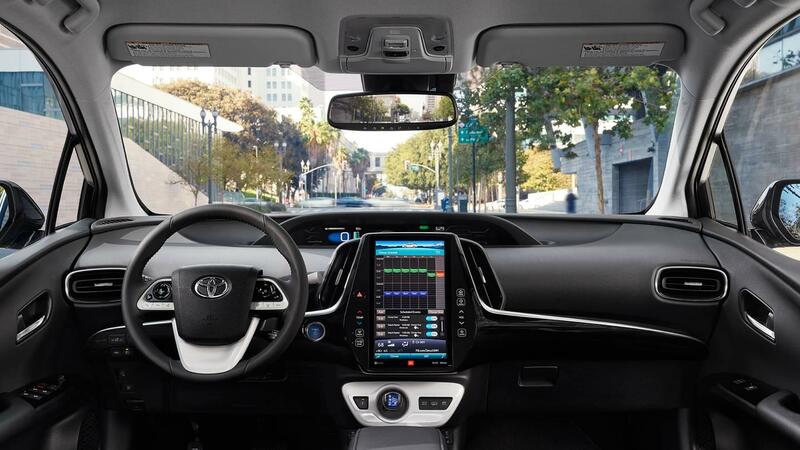 Toyota has taken it to the next level by making the Pre-Collision System5 with Pedestrian Detection6, Lane Departure Alert with Steering Assist7, Automatic High Beams8 and Full-Range Dynamic Radar Cruise Control9 all available in Toyota Safety Sense™10. No matter the trim package you choose, all of these features will come standard. Looking for more safety within the vehicle? The Star Safety System™ comes standard and loaded within each vehicle model as well. Receive Enhanced Vehicle Stability Control11, Traction Control, Anti-lock Brake System, Electronic Brake-force Distribution, Brake Assist12 and Smart Stop Technology®13. You will be able to drive down the road, day or night, rest assured you are your passengers are safe and sound. To top it all off, receive an additional year of roadside assistance14. This will equal out to 3 years of service from the point you purchased the vehicle. 2017 Prius Prime EPA-estimated combined MPGe. Actual MPGe will vary depending upon driving conditions, how you drive and maintain your vehicle, and other factors. Battery capacity will decrease with time and use. For more information, see fueleconomy.gov. 2017 Prius Prime EPA-estimated range rating when fully charged and with a full tank of gas. Excludes driving conditions. Actual mileage will vary. MSRP excludes delivery, processing, handling fee, and $75 dealer fee. The Pre-Collision System is designed to help avoid a crash or help reduce the crash speed and damage in certain frontal collisions only. It is not a collision-avoidance system and is not a substitute for safe and attentive driving. System effectiveness depends on many factors, such as speed, driver input and road conditions. See Owner’s Manual for additional limitations and details. The Pedestrian Detection system is designed to detect a pedestrian ahead of the vehicle, determine if impact is imminent and help reduce impact speed. It is not a substitute for safe and attentive driving. System effectiveness depends on many factors, such as speed, size and position of pedestrians, and weather, light and road conditions. See Owner’s Manual for additional limitations and details. Lane Departure Alert with Steering Assist is designed to read lane markers under certain conditions. It provides a visual and audible alert, and slight steering force when lane departure is detected. It is not a collision-avoidance system or a substitute for safe and attentive driving. Effectiveness is dependent on road, weather and vehicle conditions. See Owner’s Manual for additional limitations and details. Automatic High Beams operate at speeds above 25 mph. Factors such as a dirty windshield, weather, lighting and terrain limit effectiveness, requiring the driver to manually operate the high beams. See Owner’s Manual for additional limitations and details. Full-Speed Range Dynamic Radar Cruise Control is designed to assist the driver and is not a substitute for safe and attentive driving practices. System effectiveness is dependent on road, weather and traffic conditions. See Owner’s Manual for additional limitations and details. Drivers are responsible for their own safe driving. Always pay attention to your surroundings and drive safely. Depending on the conditions of roads, weather and the vehicle, the system(s) may not work as intended. See Owner’s Manual for additional limitations and details. Vehicle Stability Control is an electronic system designed to help the driver maintain vehicle control under adverse conditions. It is not a substitute for safe and attentive driving practices. 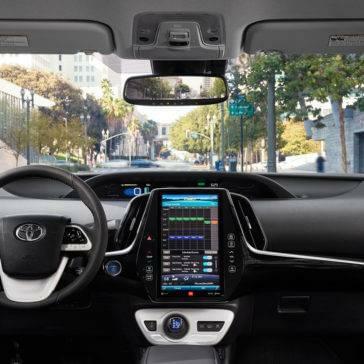 Factors including speed, road conditions, weather and driver steering input can all affect whether VSC will be effective in preventing a loss of control. See Owner’s Manual for additional limitations and details. Brake Assist is designed to help the driver take full advantage of the benefits of ABS. It is not a substitute for safe driving practices. Braking effectiveness also depends on proper vehicle maintenance, and tire and road conditions. See Owner’s Manual for additional limitations and details. Smart Stop Technology® operates only in the event of certain contemporaneous brake and accelerator pedal applications. When engaged, the system will reduce power to help the brakes bring the vehicle to a stop. Factors including speed, road conditions and driver input can all impact stopping distance. Smart Stop Technology is not a substitute for safe and attentive driving and does not guarantee instant stopping. See Owner’s Manual for additional limitations and details.